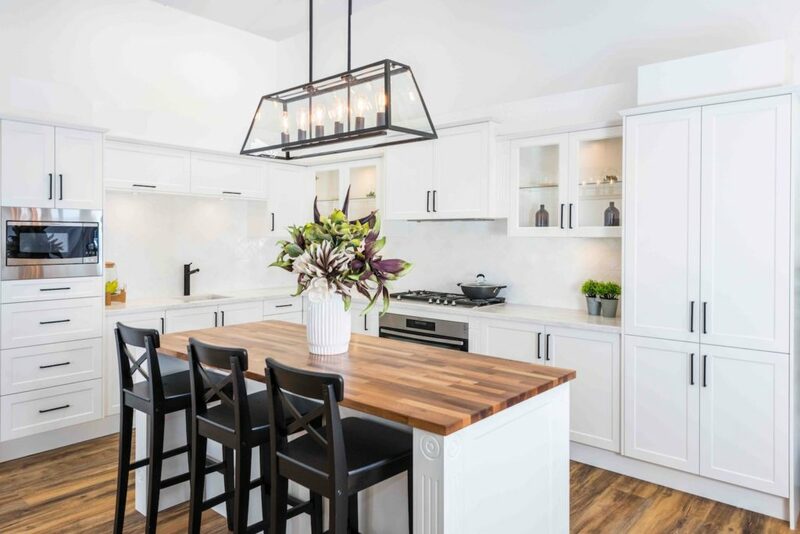 Get that light and airy kitchen you’ve always dreamed of with these simple tips that will help brighten even the darkest of kitchens. Let the sun shine in! Harness the power of natural light to bring your space to life. 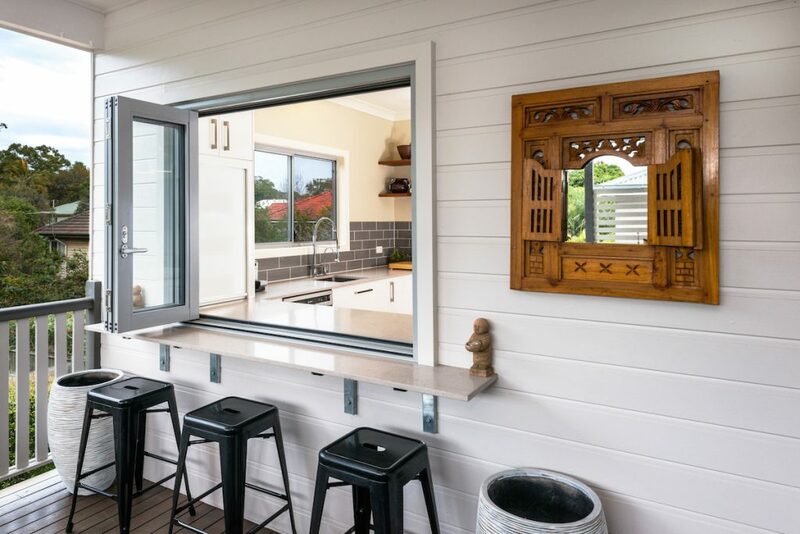 Limit heavy window dressings like bulky curtains or blinds, instead look for lighter, more flexible options like fold away shutters or natural timber venetian blinds. 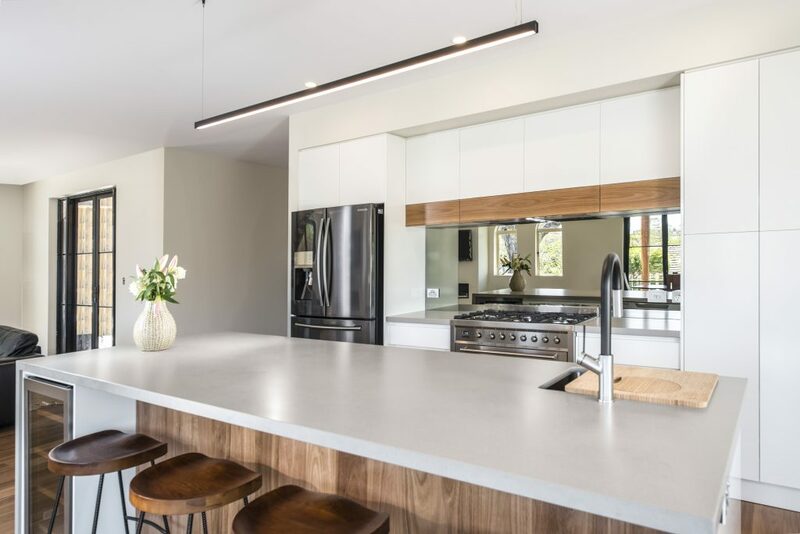 Adding the right amount of lighting to your kitchen is not only important to brighten and open the space, but also to ensure practical and safe use of prep and cooking areas. Mix it up with a combination of feature light fixtures and minimalist styles for just the right amount of sparkle. Lighten up your kitchen by using neutral colours across walls, splashbacks, and cabinetry. 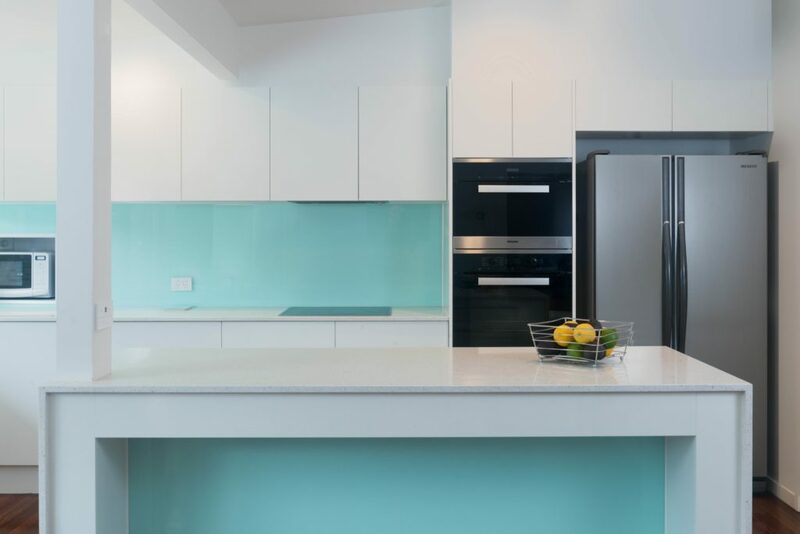 Choosing contemporary tones such as white, light grey or egg shell throughout your kitchen will make the space feel fresh and inviting, and stop the room from becoming too closed in or boxy. Opt for a pop of colour via for a feature wall, statement appliance or coloured splashback. A good spring clean can do wonders for your kitchen. Getting rid of dust collectors like nick-nacks and unused recipe books can really change the landscape of your kitchen. Transform your kitchen into a brighter and more welcoming place by limiting decorative pieces, and delegating any kitchenware, utensils or cooking aids that aren’t used regularly to a storage area. Trust us – that messy kitchen bench will soon be a thing of the past! Thinking about renovating or upgrading your kitchen? Book a free kitchen design appointment here.